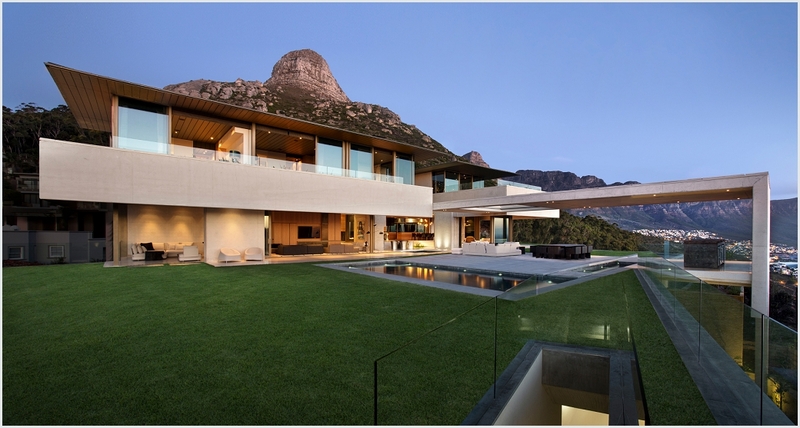 With its breath-taking 360 degree views and out of this world design this property was recently sold for R290 million, a South African record. 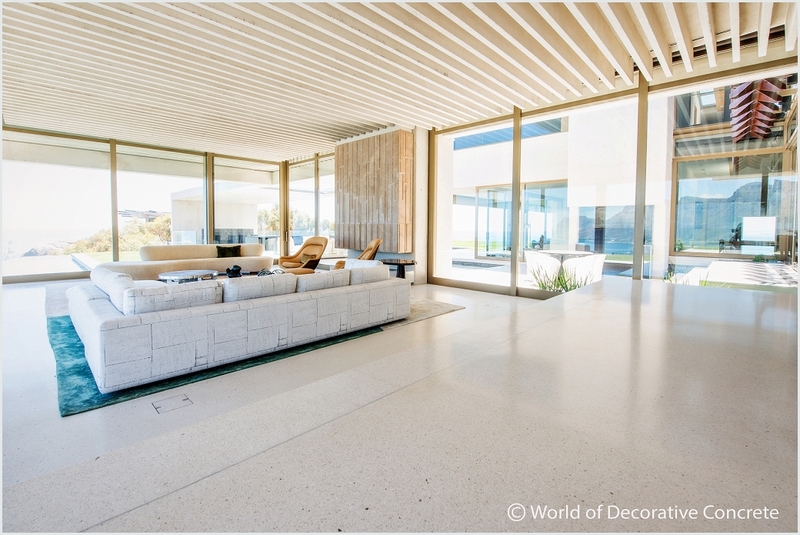 World of Decorative Concrete (WODC) is very proud to have done all the polished concrete floors, precast white concrete ceiling beams, sandblasted white concrete walls, precast concrete wall panels as well as all the precast exposed concrete items for this project. 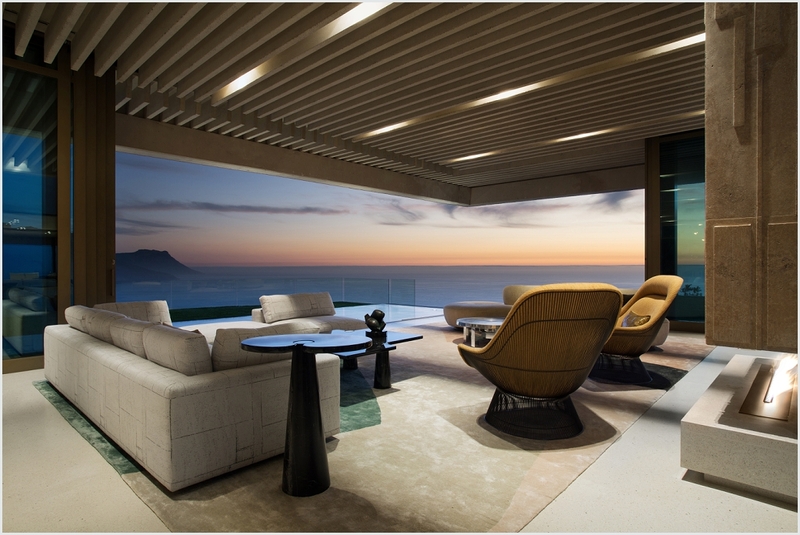 We congratulate SAOTA on an outstanding achievement in winning the International 2016 Architizer A+Award for this project, held at the Highline Stages in New York City. 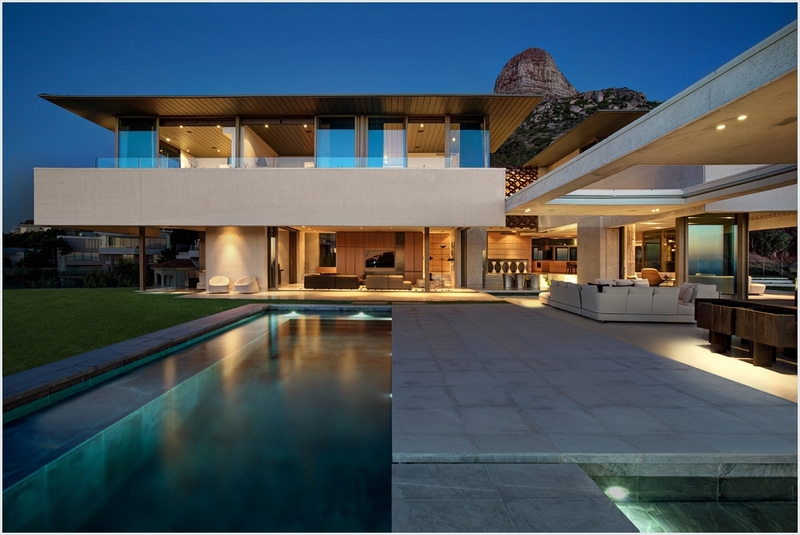 Even during the design stage, this multi-million rand project arrived with major and challenging technical issues for WODC. 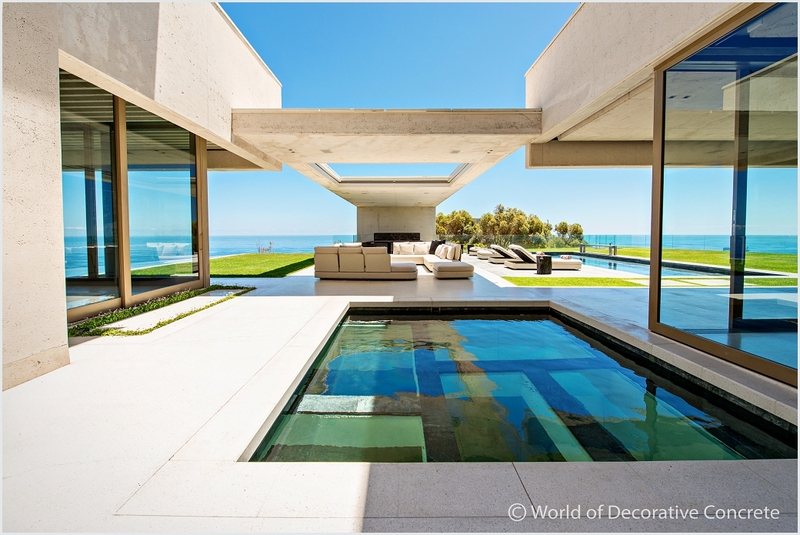 SAOTA, as the primary architects, specified products and finishes never before attempted by WODC. However, these are the challenges we relish and we certainly jumped at the opportunity. 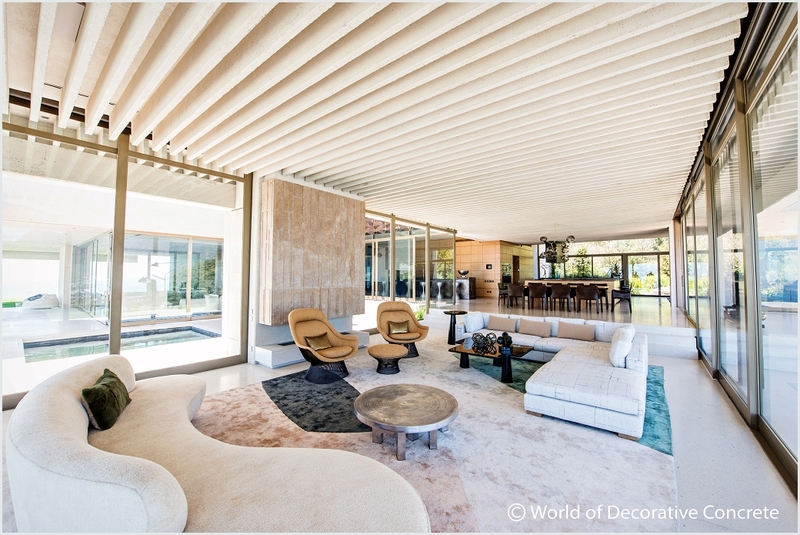 The ceiling in the main lounge area consisted of precast concrete beams of white concrete with diamond gravel as aggregate and were sandblasted afterwards to produce a weathered finish. 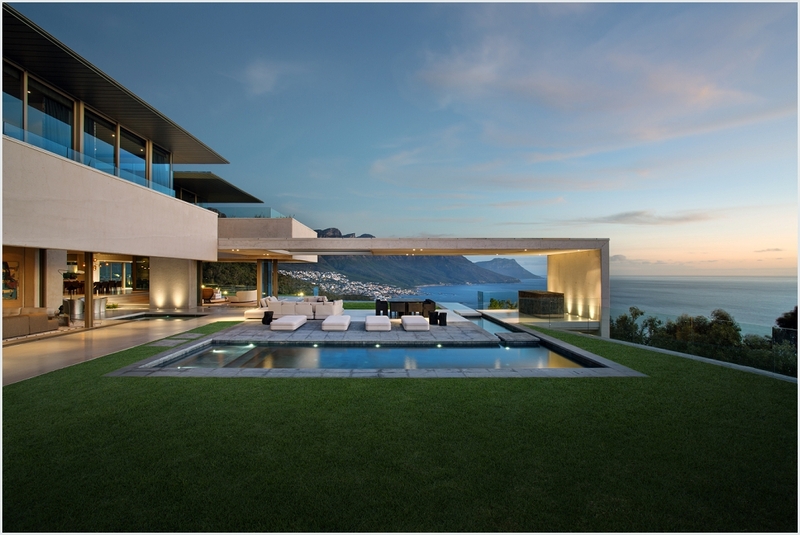 The first challenge was to source the right aggregate to comply with SAOTA’s specifications. The initial selection of West Coast aggregate had to be abandoned when it could not be established whether the gravel could still be diamondiferous and was then substituted for gravel found further afield in the Nothern Cape. A total of 102 precast beams had to be suspended from the reinforced first floor concrete slab. These beams weighed an average of 830kg each. Little margin for error was allowed with average tolerances at 3mm per 6.5m. The task was further complicated due to the fact that the precast beams were cast at WODC’s casting yard, finished there and then transported to the building site. It is no surprise that building sites of this nature offer unique challenges and difficulties of their own, which had to be overcome. 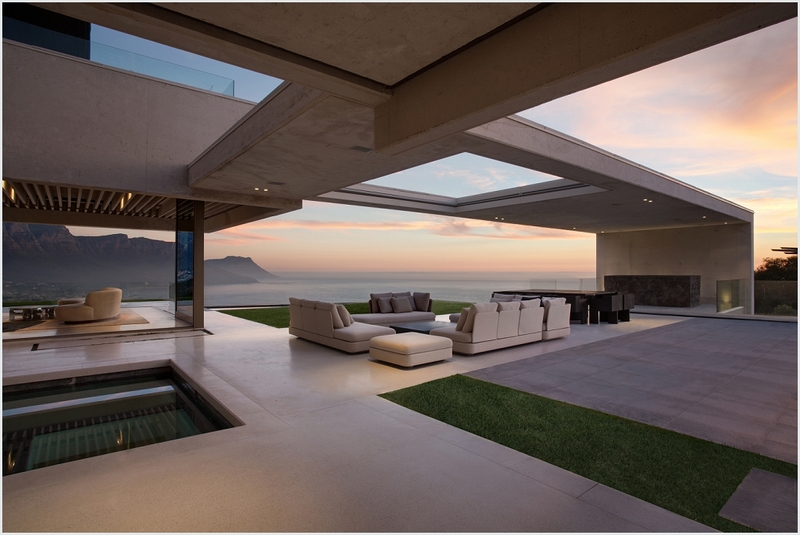 On top of it all, all services had to be pre-planned and placed during the casting process. 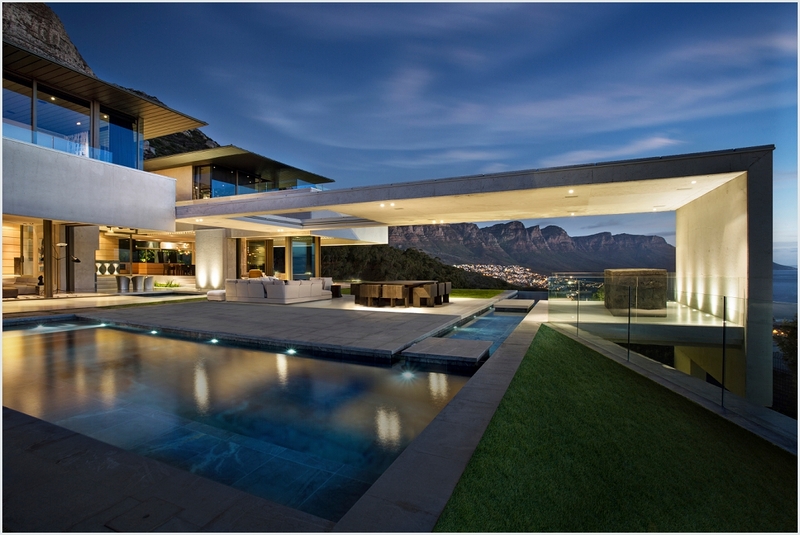 The nett result was a singular success due to a formidable team effort by WODC and SAOTA. The final product speaks for itself. 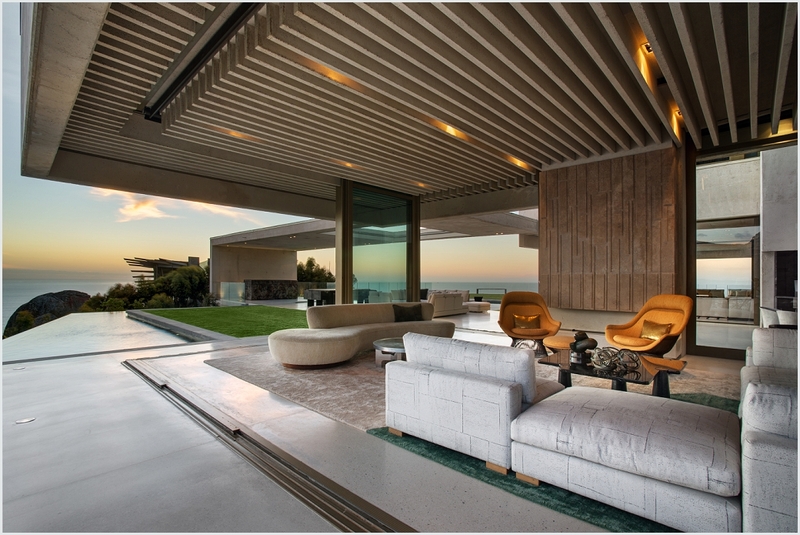 Virtually the entire project was completed by using white structural concrete and given a weathered appearance by sandblasting. The pressure was on WODC to deliver consistent and matching results. This task was made all the more challenging since various precast concrete items produced at the WODC casting yard also had to perfectly match the in situ concrete on site. 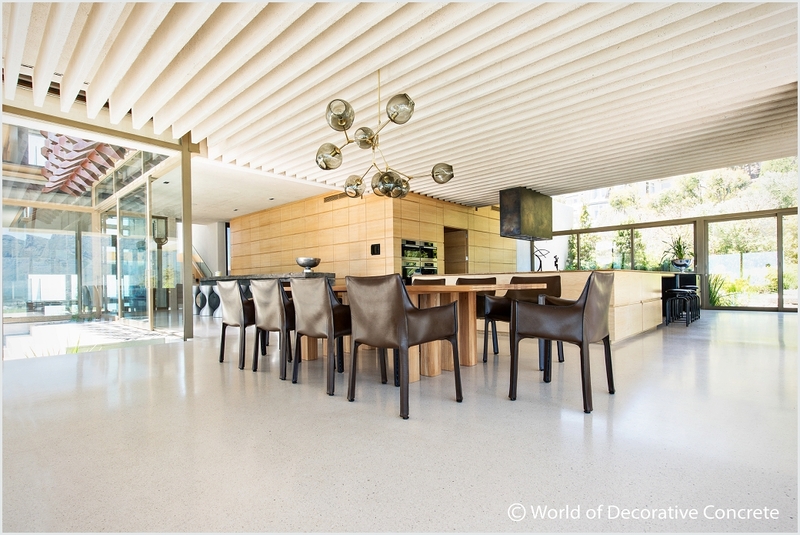 It was an excellent design choice to finish the house and garage with polished concrete floors. In this manner a residence can display stature and excellence. 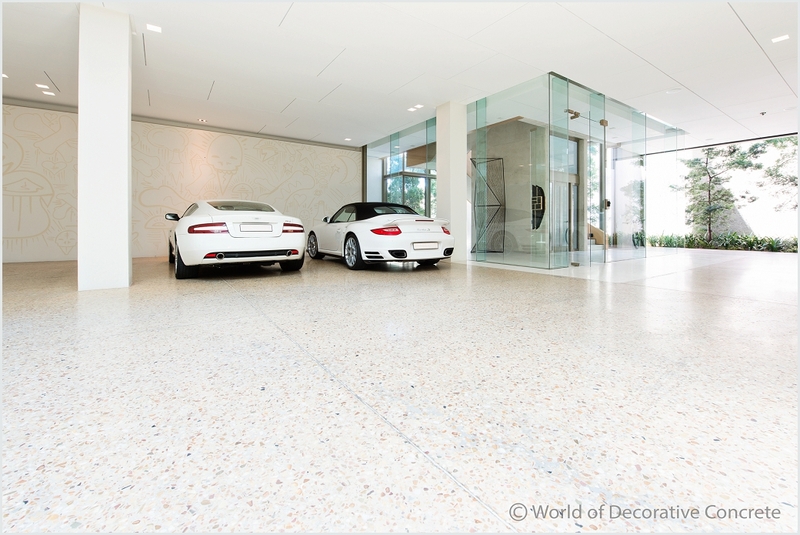 The 450m² garage flooring consisted of normal in situ concrete and was finished through a 7 stage process of diamond grinding and polishing. 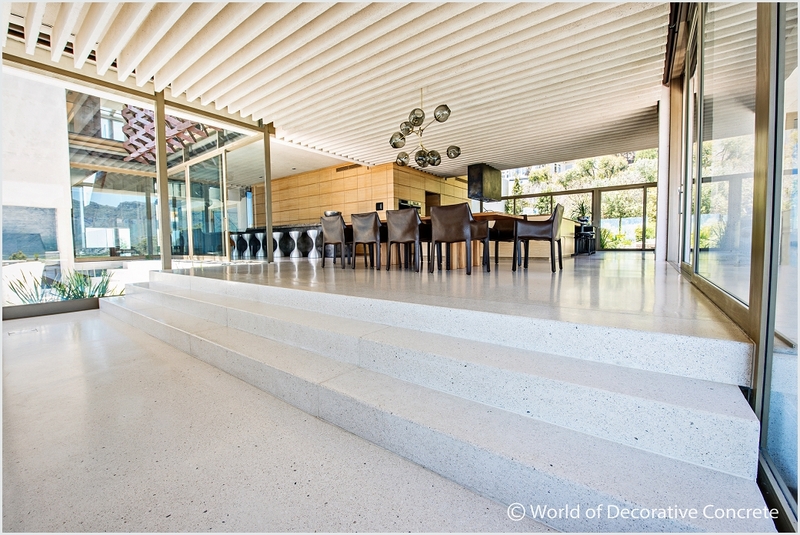 This process ensures a durable and functional floor with a high gloss finish.  The result is one of quality and top-end finish. 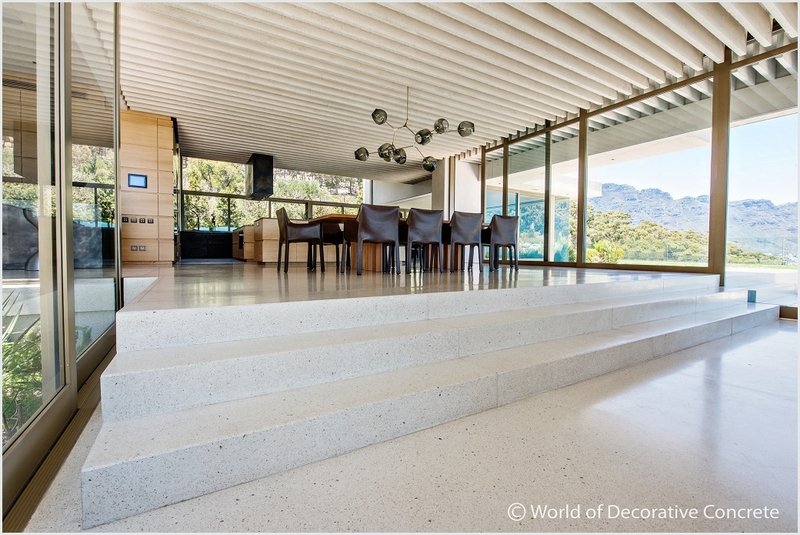 The residence itself required over 1000m² of white polished concrete flooring. 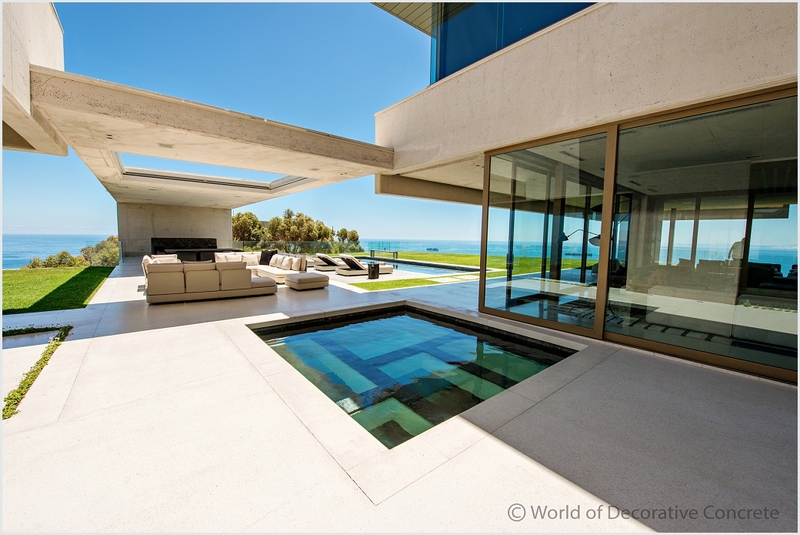 Due to SAOTA specifying an aggregate no larger than 4mm – 6mm, WODC elected to cast 15mm PMC (polymer modified concrete).  This necessitated the casting, finishing and matching of many precast items such as skirtings, wall claddings and staircase claddings at the WODC casting yard. 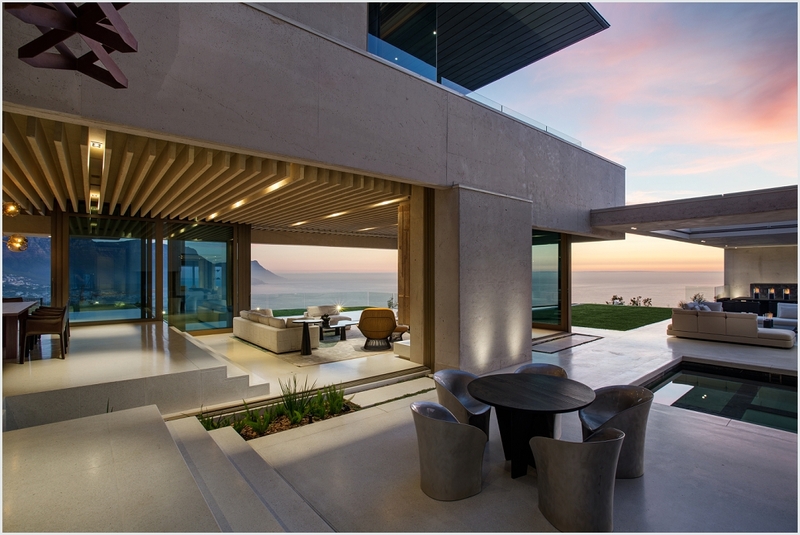 The white PMC polished concrete floors certainly added lustre to the overall design and fully complied with SAOTA’s design planning. 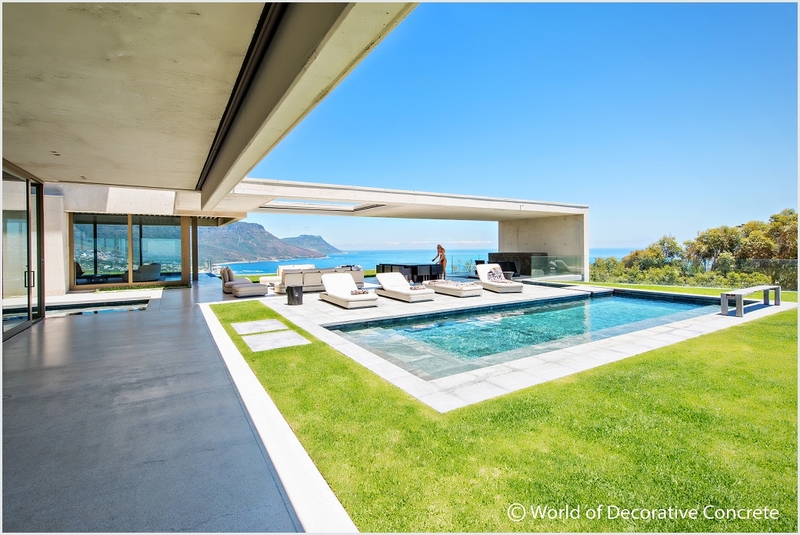 This project also won the National Lafarge Artevia Decorative Concrete Competition 2016 for the use of Exposed Concrete, specified by SAOTA and manufactured and installed by WODC.